Kanté Manfila and Salif Keita explore the music of the griots in this two volume set (see Volume 2 review) of traditional Mandé songs released through the Badmos label. Both albums feature acoustic instruments such as kora and balafon with guitar. Side A opens with a 12 minute version by Salif Keita of "Djandjon", the classic praise song to warriors. Salif had recorded an earlier version in a modern style with Les Ambassadeurs du Motel (in 1976) and the contrast between the two is striking. Side B features "Toura makhan", an epic song in honour of Tiramagan Traoré, one of Soundiata Keita's generals. Traditional in style, the instrumentation is well supported by backing vocals presumably provided by the un-named women on the front cover. This rare recording from 1979 was released shortly after Salif and Les Ambassadeurs Internationaux had recorded "Mandjou", their praise song (in the manner of a griot performance) to Guinea's President Sékou Touré. During a tour of Guinea, where the band performed the song at their concerts, President Touré awarded Salif a medal making him an Officer of the National Order of Guinea, and issued him a diplomatic passport. On the back cover of "Mandjou" Salif is pictured wearing the medal. The title of the album is a reference to the "authenticité" cultural policy which was popular at the time, whereby governments encouraged artists to "return to the source" for inspiration, and "unearth the positive values of the past for the edification of a modern society". 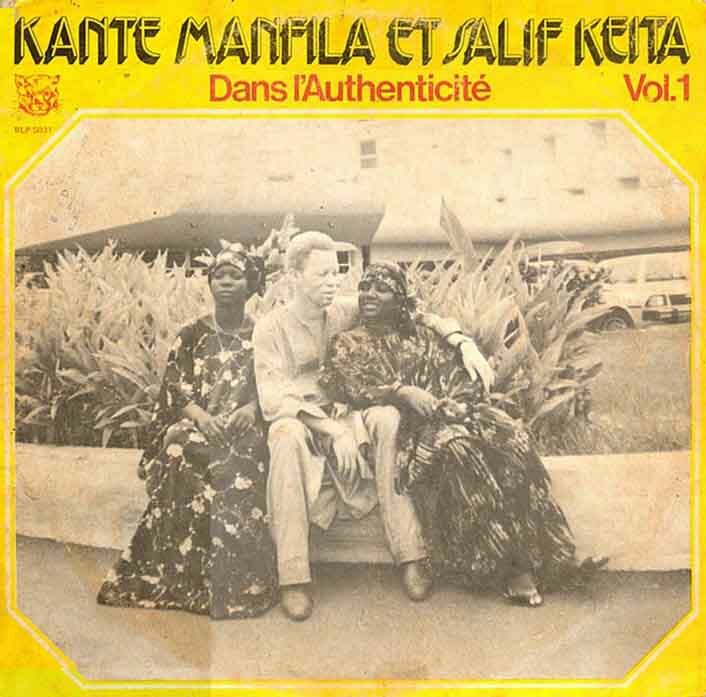 Volumes 1 and 2 represent great and obscure recordings, which highlight Salif Keita's forays into the realm of the griots.